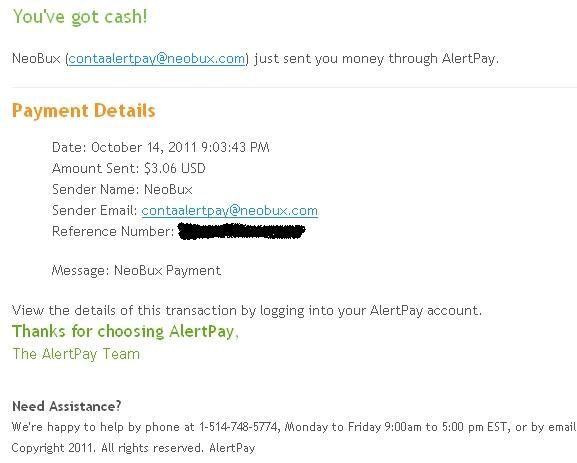 This is my very first " Neobux " payment proof, after i joined the site i made 2.10 USD (yeah its little , but i,m happy with it, remember " tiny seed makes the giant tree" ) after that i invest 5 USD for Neobux and rent 20 referrals, now i,m close to my 2nd payment , which is 3 USD, remember after each initial payout, the amount will increase by 1 dollar until you reach 10 dollar, which is the fixed payout value, so first payment is 2 USD, 2nd payment is 3 USD, the third payment is 4 USD, and so on until fixed payout value. you need Alertpay account in order to get paid, if you don't have Alertpay account click below banner to register for free. 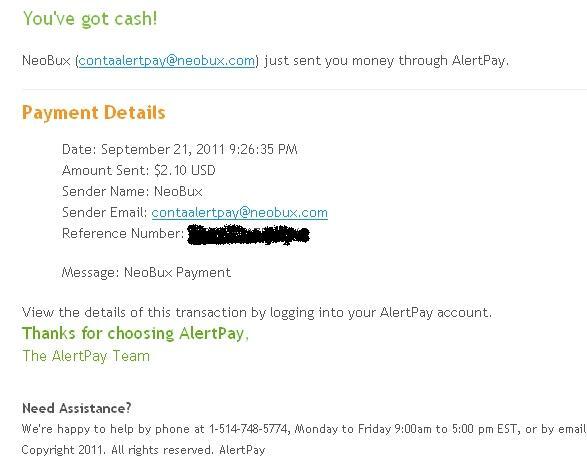 Check below picture, which is screen shot of my first payout send to my Alertpay account. Still don't sure, still have doubts about this program, then you might visit This Link and get an idea about neobux, these are true payment proof, these are real money, looking forward to update you guys with my 3rd payment.